E:60 Jason Witten (Full Segment HD) 2 month ago . E:60 Clint Dempsey - Captain America (F... 6 month ago . E:60 - Cortland Finnegan. 2 year ago . 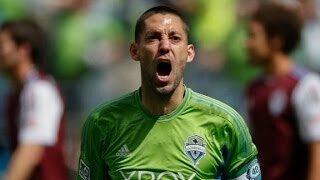 E:60 Clint Dempsey - Captain America (FULL HD) June 13, 2014 (6 months ago) HD. ... Clint Dempsey - American Hero HD 2013 / 2014. January 18, 2014 (11 months ago) HD.